This is the sign-up for the ruler club. 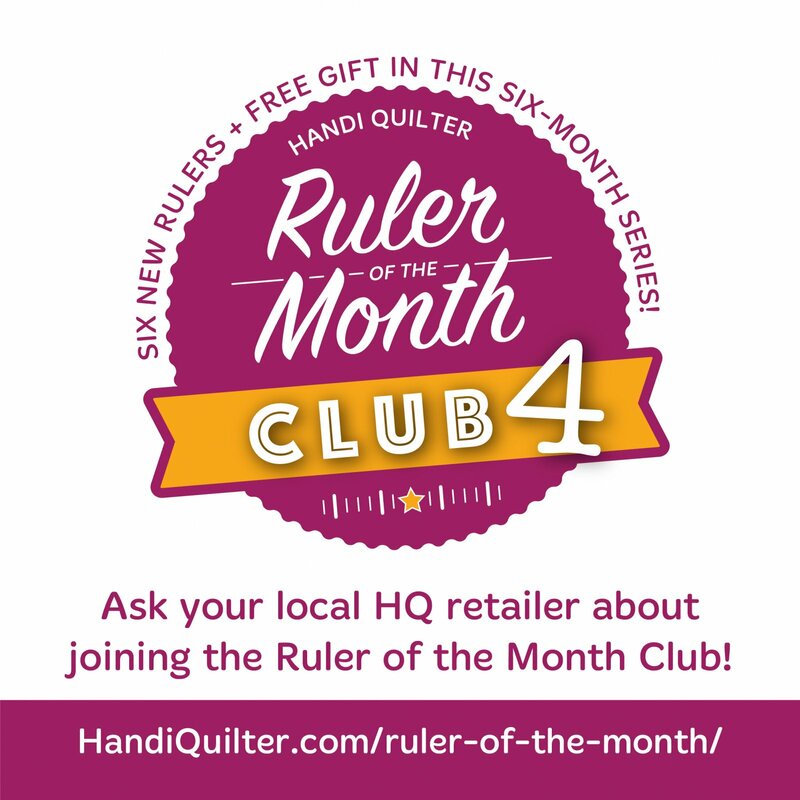 Ruler Club is like a Block of the Month Club. Each month you come to class, see a video of how to use the rulers, and purchase the ruler. The instructor will also show you techniques on the Simply Sixteen and you will have the opportunity to try the rulers. This flyer shows the designs for Session 4. This is a truely innovative set, with at least one new technique for using the rulers. This session is set up to pay for the series ahead of time. Each ruler is still $29.99. You save the $10 sign-up fee plus get one month free by paying for all of them at once.